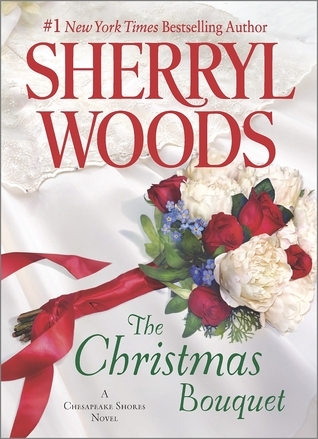 For the very driven medical student Caitlyn Winters, catching the bridal bouquet at a Christmas wedding has set off a chain reaction that she's sure is more curse than blessing. Not only has she fallen in love with family medicine resident Noah McIlroy, but an unexpected pregnancy threatens her well-laid plans for the future. It doesn't help that Noah—with a whole lot of help from her O'Brien relatives—is completely on board with the prospect of marriage and happily-ever-after. It takes a whole lot of patience, love and family persuasion to help Caitlyn realize that she can still have everything she ever wanted, including a home in her beloved Chesapeake Shores and a man who understands all of her dreams. I have always enjoyed this series a lot. I have to say this book not so much. Caitlyn Winters the grand-daughter to Mick O’Brien the primo meddler from Chesapeake Shores. She is not just stubborn like her grandfather she is just plain spoiled and a whiner. It’s all about her the whole book. I could see if she would have had a terrible life but it was just the opposite. She had a huge family that loved her and a mom and wonderful step dad that spoiled her and her sister to death. I was at the 70% mark and she was just now accepting she was really pregnant. Only after “Baby Daddy”, Noah McLlroy, forced her hand and made her keep the third appointment made. Especially since her doctor said she cancelled her first two. But she doesn't want the baby to be real because she needs to finish med school on her precious schedule. She wants everyone to bend to her needs especially Noah but not her to his. But Noah deals with it in the best way ever. She wants Noah to reveal his plans for his very near future yet for someone who has a list for every single minute of her life can’t make a decision. Which brings me to my biggest peeve of this situation is that her she is going to be a doctor and she is doing it in record time but she leaves the birth control totally up to the Baby Daddy. Really? Isn’t that doctoring 101? Then she is mad at the world. Everyone seems to walk on egg shells around the prima donna. She needs to get her but in gear and buck it up. I loved Noah but the man had the patience of Job. He knew when to move forward and when to back off. Too bad love makes you blind because the perfect woman for him would have been Carrie her twin sister the one who wants to be a wife and a mother, who knows there’s more to life than chasing a career. Tell you what if it wasn’t for everyone else in this story beside Caitlyn I would have ditched this book a long time before the end. Basically for me at 82% when Connor mentions to Noah that most of the men in the O’Brien family have had to gravel and maybe he should in order to get Caitlyn to see things his way. I wanted to throw my phone. No Really!! !